While Ankita Das and Poulomi Ghatak outplayed Pakistani duo Rahila Kashif and Shabnam Bilal, Madhurika Patkar and Neha Aggarwal thrashed the Maldives' Aishath Nisa and Shiura Aminath Shareef. 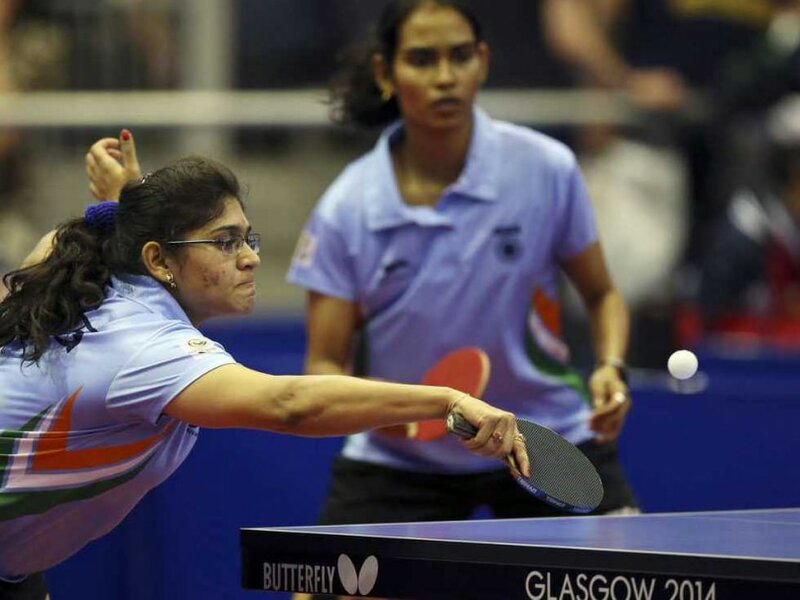 The other Indian women's team in the fray, Madhurika Patkar and Neha Aggarwal, took 12 minutes to thump the Maldives' Aishath Nisa and Shiura Aminath Shareef 3-0 (11-3, 11-6, 11-2). Madhurika and Neha will play their pre-quarter-final match Wednesday against Chinese team of Zhu Yuling and Chen Meng.